EASY STARTING HONDA OHV COMMERCIAL GRADE ENGINE: Honda GXV57 engine is powerful, easy to start, and fuel efficient. ADJUSTABLE 21 IN. OR 12 IN. TILLING WIDTH: Outer tines are removable for narrower spaces. EASY STORAGE WITH FOLDING, HEAVY-DUTY HANDLE. 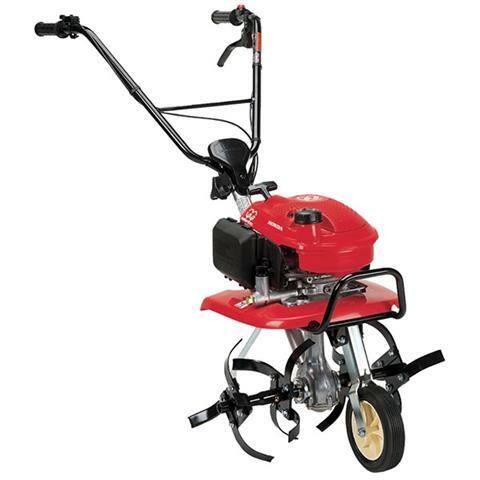 EASY-TO-RAISE, RETRACTABLE TRANSPORT WHEEL: A convenient transport wheel swings up to a locked position for tilling. No tools needed! 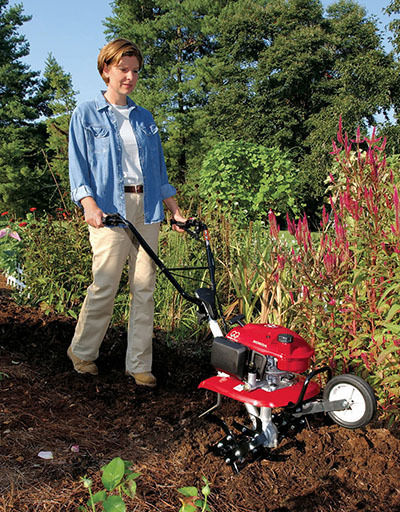 ADJUSTABLE DEPTH BAR: The depth bar makes it easy to control the depth and speed of the tiller. This helps to improve the performance by working the soil more thoroughly. Easy to adjust, with no tools needed.